As long as Hong Kong steers clear of secession, its autonomy will remain intact. “Hong Kong, Hong Kong… the love birds, hand in hand, no vocabulary exhausts their tender affections…” This song, “The Hong Kong Night (香港之夜),” by the renowned Taiwanese pop singer Teresa Teng, rode the radio waves back in 1970s into millions of households in mainland China, painting a rosy picture of dating sweethearts mindlessly strolling along the picturesque Victoria Bay in Hong Kong. Teng’s captivating voice, weaving together the political freedom, cultural plurality, and personal liberty of Hong Kong in an artistic yet substantive fashion, set on fire the exuberant imagination of many mainland Chinese. Fast-forward 40 years – as China enthroned its new political leadership on October 25, with the seven-member Politburo Standing Committee still led by Xi, what do we expect for Hong Kong and its future political development? How will Beijing and democracy activist groups in Hong Kong manage to foster trust? The two sides face a prominent commitment problem: while Beijing fears that the democracy seekers will attempt independence under the guise of democracy, the democracy activists in Hong Kong worry that Beijing may not deliver the promises of democratic reform in Hong Kong if the card of independence is dropped. The relationship between Beijing and the Hong Kong people has been marred with distrust. Beijing sees Hong Kongers’ waning loyalty toward the Chinese state and the Hong Kongers dread an irrevocable encroachment from Beijing into Hong Kong’s autonomy. Caught in this commitment dilemma, Hong Kong has resorted to pursuing independence in order to achieve democracy, while Beijing has reacted more fiercely against both secession and democracy movements. The new formation of leadership in Beijing in the recent 19th Party Congress perhaps makes this distrust even worse. The new Politburo Standing Committee differs quite significantly from the previous one in terms of its power distribution. The newly formed top seven appear to fit better in a hierarchical model than a consensual one, with Xi sitting on the tip of the power hierarchy and the others ranking below him and advancing his agenda. One of the new members of the Politburo Standing Committee is a noteworthy scholar and theoretician, Wang Huning, who in the past served mostly in the function of an adviser to the previous Chinese presidents. Another new politburo member, Wang Yang, also the vice premier, is likely to succeed the current premier, Li Keqiang, in 2022. The premiership, however, is mainly responsible for the daily governance of the entire state through the State Council. Even together with the other three new members, Han Zheng, Zhao Leji and Li Zhanshu, their collective political sway on Xi thus appears to be very modest. The Politburo Standing Committee now looks more like Xi’s cabinet than a power-sharing institution that used to promise more moderation and deliberation in decision-making. The changing power distribution indicates a more empowered president in China. A less consensual politburo where Xi assumes more centralized control suggests a different scenario for those who seek a freer political space in Hong Kong. With the entire country united behind him, Xi now stands more poised than before to stage a more poignant crackdown, if need be, on any forces in Hong Kong perceived as threatening to China’s sovereignty. Moreover, due to the more hierarchical decision-making body with the new politburo, secessionist voices in Hong Kong can now come across to Beijing as a more eminent threat than before and, as a result, can incur more aggressive and radical responses. However, Hong Kong does not need to panic. While a more concentrated power structure in Beijing probably brings more uncertainty as to how it will treat political dissent in Hong Kong, Beijing’s general framework of granting Hong Kong’s autonomy in its current amount is unlikely to change, provided that Hong Kong can steer itself clearly away from secession. While many seem to conflate pro-democracy and pro-independence, Beijing views them as two radically different concepts. The spiraling of pro–democracy protests into pro-independence callings in recent years provokes Beijing, which is the most apprehensive of a possible secession of Hong Kong from the mainland, to take a stronger stand. Even when such pro-independence sentiments remain marginal compared to the Hong Kong political mainstream, as suggested by Sebastian Veg, for example, it can be picked up and magnified from Beijing’s perspective. While pro-democracy urges have been generally tolerated by Beijing, pro-independence language is utterly abhorrent to it. Pro-democracy activism in Hong Kong stretching across the bottom of line of Beijing to pro-independence can actually backfire. Such a move potentially incites more intrusion from Beijing and, as a result, helps Hong Kong lose its valuable, if imperfect, autonomy altogether. This caused outrage among many in both Hong Kong and the mainland. Many civilian activist groups in Hong Kong also resorted to protests against the actions of the two legislators. LegCo ruled the swearing-in as invalid but initially offered to re-administer the oath. NPC’s interpretation of the Basic Law clarified that the two lawmakers’ behaviors were not lawful and further added that disrespectful or insincere readings of the oath, like Leung and Yau’s, shall not be given a second chance. This move effectively forced the Hong Kong court, to which the Hong Kong government had initially submitted the case, to ban the two lawmakers from taking office. In so doing, Beijing intends to strike a more resolute tune and erect a precedent pertaining to future legalistic entanglements between Hong Kong and the mainland. Beijing has always, at least nominally, upheld democracy in Hong Kong and promised gradual democratization as prescribed in the Basic Law. For example, the nomination process has considerably democratized over the years. The number of nominated candidates for Hong Kong’s chief executive has increase from one candidate in 2005 to three in 2017. The idea of independence, however, is absolutely abhorrent to Beijing. While gradual democratic transition is guaranteed by the Basic Law, independence is not. In fact, the mere birth of the Basic Law was based on the agreement between China and the United Kingdom that Hong Kong must remain as an inalienable part of China. It would be an unthinkable political disaster for Beijing to let Hong Kong loose, as China is under constant secession pressure from Tibet, Xinjiang, and Taiwan. For this reason, scholar Taisu Zhang argues that the Chinese government decisions toward Hong Kong are considerably shaped by nationalist impulses on the mainland. One critical source of legitimacy for the Chinese Communist Party (CCP) to govern China is that it has walked China out of its humiliating history, during which the country was invaded by foreign powers and marred by domestic strife. Unifying China and maintaining its sovereignty is an unnegotiable and supreme, if not the only, goal of the CCP. The peculiar pro-unification nature of Chinese nationalism permits little or no room for territorial secession, such as the loss of Taiwan or Hong Kong, to erode China’s sovereignty. The Chinese public would only uphold a government that is committed to this ideal. On the other hand, Beijing has all the incentives and commitment to let Hong Kong be Hong Kong. In an interview with China News Service on November 28, 2016, the then-Chief Secretary for Administration of Hong Kong SAR but now the Chief Executive of Hong Kong, Lin Zheng Yue’e, said that her previous exchanges with officials from Beijing confirm that the Chinese central government is genuine in successfully enforcing the Basic Law and “One Country, Two Systems.” The Chinese government has been fairly consistent with its political stance regarding Macau, Hong Kong, and Taiwan. Just recently, Xi Jinping again pledged his commitment to Hong Kong’s autonomy. Beijing has little interest in converting these islands into mainland-like regions, for the current political, economic, and cultural establishments in these regions are not necessarily at odds with China. 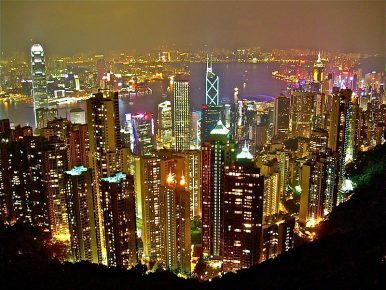 Quite the contrary, Hong Kong’s laudable economic development and social stability have together become for Beijing some of the most marketable selling points of its “One Country, Two Systems” strategy. In addition, it is in Beijing’s best interest to convince Taiwan, the affluent island yet to be returned to China, using a hopefully exemplary autonomous Hong Kong, that returning to China is not all that undesirable (see, for example, the presidential New Year’s Eve addresses to the public from 1994 until now). The fear is that, if the pro-independence movement further flares up, Beijing’s intervention, led by the empowered Xi, can potentially become even more dramatic. Allowing impulsive and young politicians, such as Sixtus Leung and Yau Wai-ching, to exploit the limited space of political freedom and to unduly swing tides to campaigns of independence will likely backfire. Outright pro-independence movements, without due consideration of the lack of a mature social, cultural, and political backup, will likely incur staunch opposition and even straight intervention from Beijing. An overenthusiastic and miscalculated pursuit of democracy, which likely spills into the quest for independence, can only help Hong Kong lose its autonomy altogether. Jinrui Xi is an Assistant Professor in the School of International Studies in Jinan University, Guangzhou, China. One Basic Law, two interpretations: the political framework behind Hong Kong's recent controversies.